You might ask "Uig whaaat?!?" 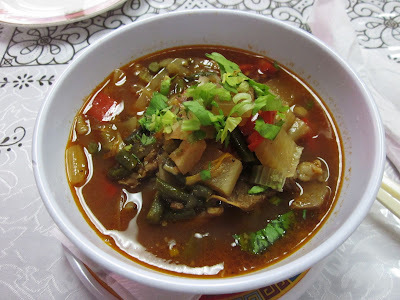 Uighur cuisine consists of a mix of western Chinese food that blends primarily middle eastern as well as some Russian elements....Middle Eastern as in the use of lamb and cumin in their dishes and the absence of pork, and Russian influences come in the form of pickled salads and vegetables. Cafe Kashkar is in Brighton Beach in Brooklyn and is one of the few rare Uighur restaurants in the NY area, though Xian Famous Foods has numerous dishes that are very similar in nature. 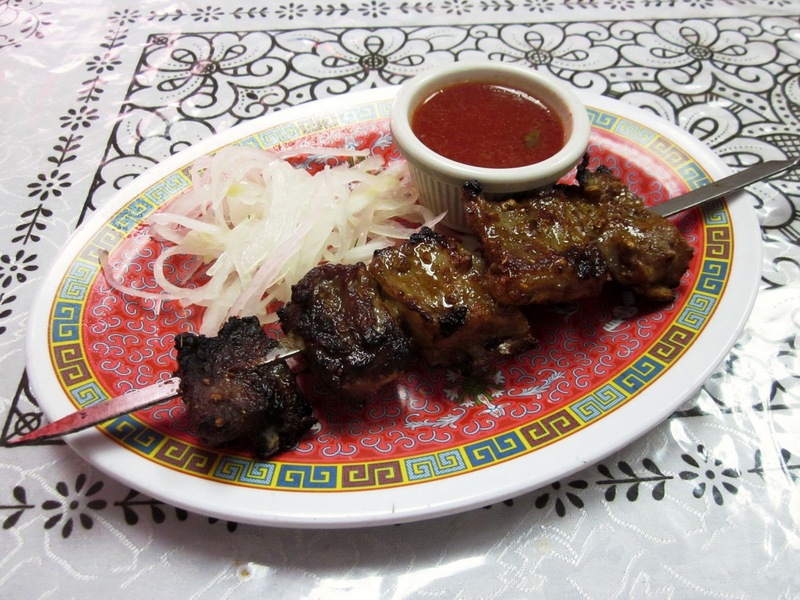 At Cafe Kashkar, I ordered an appetizer of lamb rib kebabs, which came with pickled onions, and Lagman soup, a lamb soup in a hearty tomato broth. Lagman noodle soup $6 (you can also get it stir fried) with lamb and vegetables, including pickled garlic stems. The broth was rich and hearty but the bowl was a bit smaller than I'm accustomed to for noodle soups. Gratuitous noodle shot! 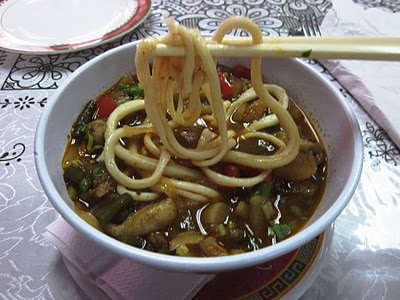 These are hand pulled noodles mind you...and were cooked perfectly and still had a bite. The food was good but I wasn't able to try some of the other interesting stuff on their menu as well, such as the manty (dumplings), samsa (lamb pie), or the salads. A return visit in the future perhaps? 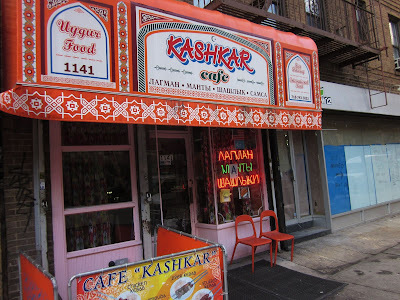 Still want more Cafe Kashkar? 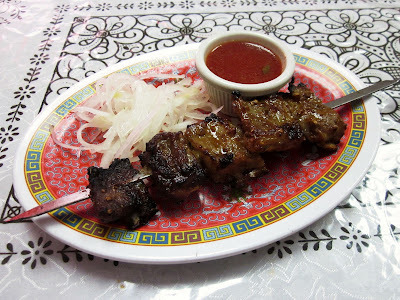 Check out the the video below with pics of the other dishes, as well as a clip of the hand pulled noodles.